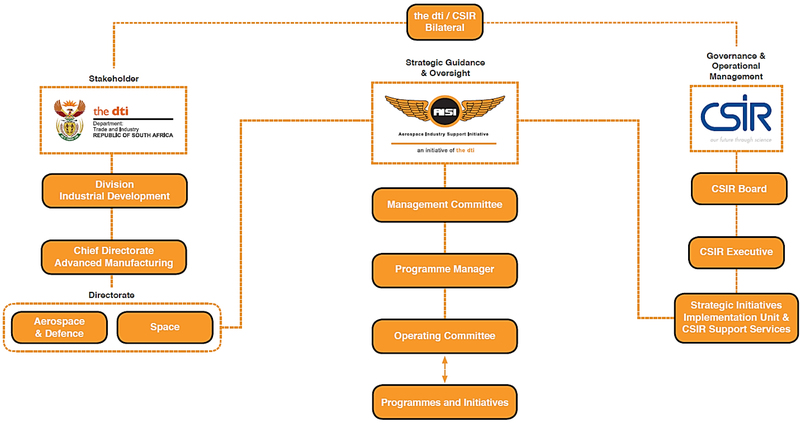 To position South African aerospace and defence related industry as a global leader, in niche areas, whilst ensuring effective interdepartmental participation and collaboration. Accelerating the achievement of government strategic objectives including growth, employment and equity. The AISI is guided by a Management Committee (Manco) and an Operations Committee (Opco). Projects are managed by the CSIR and strictly adhere to all Public Finance Management Act (PFMA) principles within the CSIR’s policy and procedural framework.